Home > Laptops > Dell Laptop Computers > Dell Latitude 5590 15.6"
Dell Latitude 5590 15.6” Laptops are the feature rich and easily expandable business laptop option perfect for Small to Medium Size Businesses (SMBs) seeking a flexible computing solution for their end users on the move! 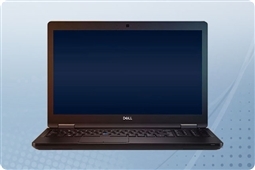 Built with the best in Dell security features the Dell Latitude 5590 laptops offer peace of mind that your business data is always easy to manage and safe. Enjoy top tier security features such as multi-factor authentication, optional Activate Windows Hello for facial recognition, the Dell ControlVault suite, and unique Dell vPro extensions for remote management of a fleet of business laptops including diagnostics. More expandable that past generations the Dell Latitude 5590 laptop also has tons of customization options to choose from giving it the power to stand up to even the most demanding tasks and applications. Choose from Aventis Systems highly customizable Intel Core i5 or i7 models, upgrade your DDR4-2400 memory up to 32GB, pick your perfect high capacity SATA or high performance solid state drive, and add on your ideal software suites to complete your build! Plus with near all day battery life and exceptional HD display your experience is always the best no matter where you find yourself working! Aventis Systems proudly offers all of our Dell Latitude 5590 laptops with a comprehensive 1 Year Essentials hardware and parts replacement warranty standard on all models. Additional coverage and warranty terms are available as well including our Extended 2 Year term, Express NBD parts replacement, and Secure Drive hard drive retention warranties. So shop our products below and customize the most expandable and feature rich Dell notebook for your business today with the Dell Latitude 5590 15.6” Laptops!